The following 12 species are available to hunt: tsessebe, kudu, blue wildebeest, waterbuck, zebra, impala, klipspringer, nyala, steenbuck, bushbuck, duiker and bushpig. Fourteen exclusive stands are now available in the all new Badseloop Eco Estate. The region is a well known bird-watching destination and up to 250 species have been identified in the area. 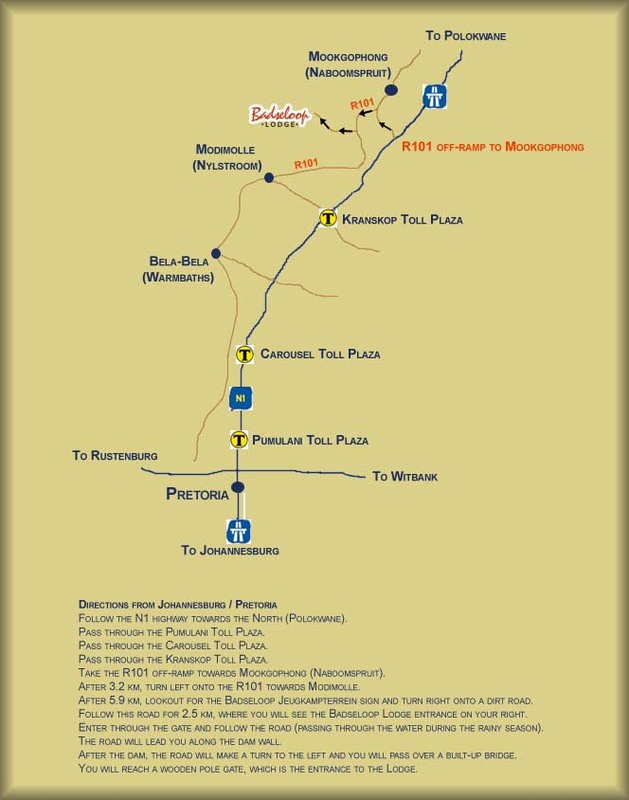 The reserve is located only 10km from the world-famous Nylsvley Nature Reserve. © 2008-2019 Badseloop Lodge. All rights reserved.